The Marketing software ecosystem has become very complex. The biggest component of this ecosystem, Marketing Automation (MA), is a set of software apps that automate and streamline sales and marketing activities by substituting monotonous manual processes with intelligent outreach capabilities. MA also enables complex marketing activities that would be very difficult if you wanted to execute them manually. Despite the fact that marketing automation software has many benefits, many companies are still cautious about putting it to use. Today we will discuss some of the barriers to implementing marketing automation. Senior management- the people who decide whether to invest in a Marketing Automation system – are often the ones who have the most resistance to new changes. Why? Because many senior managers see ‘marketing’ and marketing automation a costly, complex concept whose business value is not immediately obvious. A quick and simple interpretation about MA capability and business benefits is hard. Proper education to this group is really very important(by which we mean that MA software companies need to pick up the ball). Real revenue that can be directly tied to ‘marketing’, as well as future revenue growth that can be associated with marketing activities will make the difference. Any new enterprise software for marketing and sales brings many new challenges to the IT team. You must appreciate, understand and see the decision from the IT perspective. In many small to mid-sized companies the final decision makers for marketing automation software purchase is the head of IT – the CIO, whose neck will be on the line going forward. To ensure short and long term success, the Marketing and IT teams need to work hand in hand to make marketing automation a success. Many companies fail to understand all the capabilities of marketing automation software. They neglect software that can complement and enhance MA capabilities with an excuse that they have already invested enough. You cannot expect complete results from incomplete software. A car cannot run on three of four tires. If you want three tires, get a trike and live within its limitations. Often, companies neglect integrating important solutions with the MA solution which results in a data gap– marketing data is not in synch with enterprise data. Any marketing automation implementation project is unsuccessful without proper training. In case you are not satisfied with the MA vendor training, get an automation services company who provides better support, training and campaign management services. In our next blog we will discuss a few tips on how to overcome common barriers to marketing automation success. 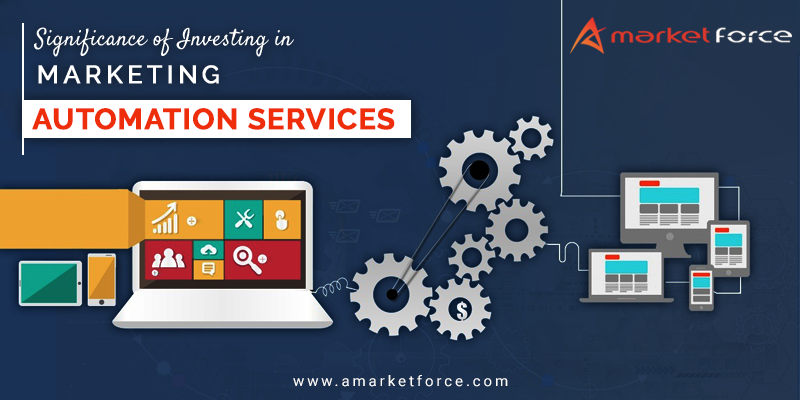 About aMarketForce’s Marketing Automation Services: aMarketForce helps companies with marketing automation strategy from solution selection, implementation, training, integration with CRM or other systems, campaign execution, MA optimization and management services. To know more about aMarketforce’s Marketing Automation Services, please email us at info@amarketforce.com. To know more about our marketing automation services call us at 408-342-1700 to discuss your situation. Request a quote for marketing automation services.